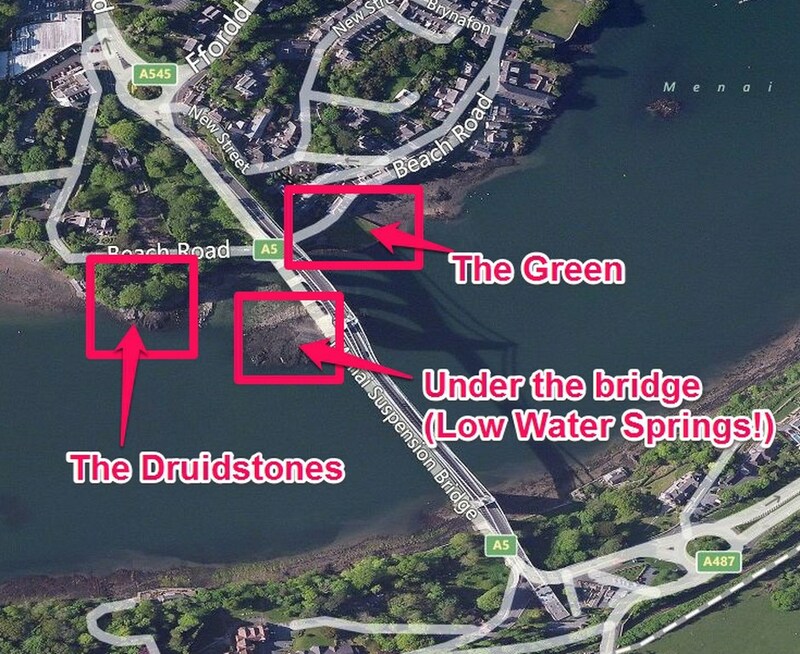 Two marks in Menai Bridge which may confuse people. Though they are very easy to get to. 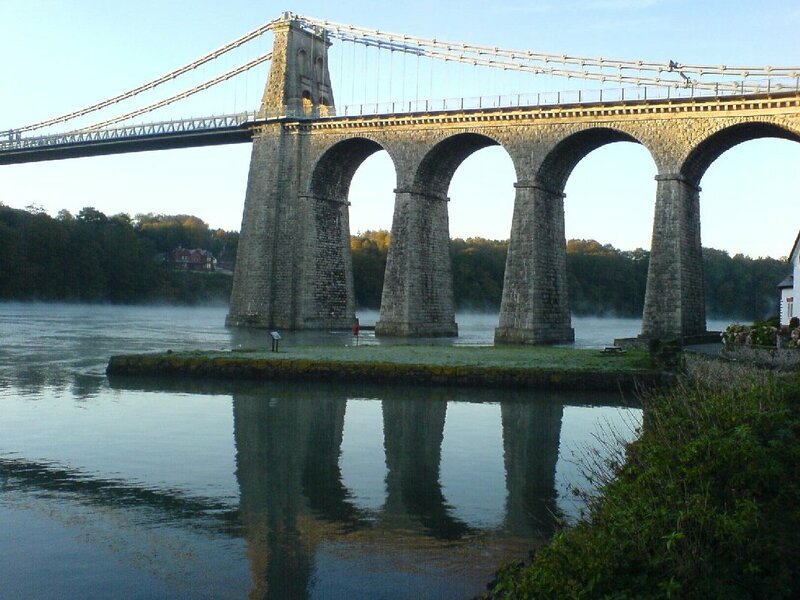 Both are unusual for the Menai Strait in that you can get away with fishing at all states of the tide owing to the local topography. Will give whiting, codling and the occasional flounder. Conger are a possibility though dont hold your breath as anyone killing these fish will decimate the localised population of these highly territorial fish. Small pollack and wrasse near to the bridge rock outcrop. People also plug for bass but don't hold your breath! The Druidstones is surprisingly free of snags, I don't use a rotten bottom here, its rougher out from The Green, so go suitably equipped if ledgering. 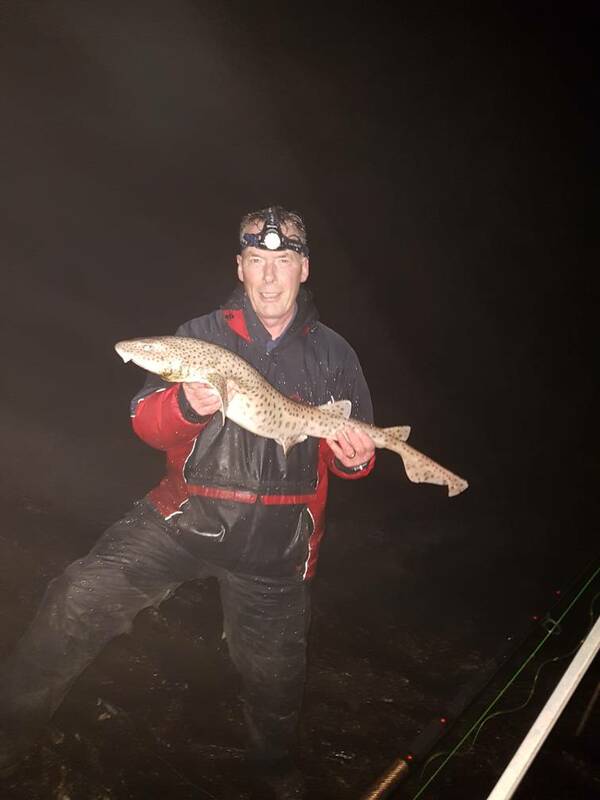 Main advice for The Druidstones is not to overcast, fish are close in here, a bigger cast may filter out the whiting, suggest one rod close in and one rod far out to find the fish. Parking is available under the bridge on Beach Road but is limited, particularly in summer. You will be able to park in one of the numerous side streets if you get stuck for space. Final note, on biggish tides you can nip over to fish right into the main flow - take care, if you dont understand the Swelly tides or tides in general, then dont do it - low water does not coincide with slack water here, BUT low water IS about -25 mins Gladstone Dock. This information is given in good faith, all I ask is that if you use it then please take your litter home with you, and pick up any litter left by the numpties who may on occasion fish these marks. Make a difference - take home 1 piece of someone's angling litter next time you are out fishing.